Turquoise Glitter & Green Leaf Guitar Pick Earrings! 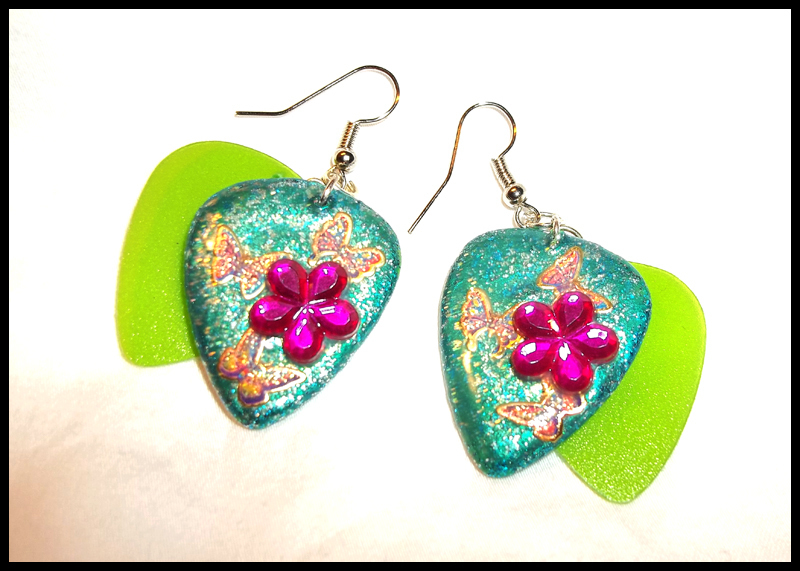 Metallic turquoise glitter guitar pick earrings with pink flower gems and metallic butterflies. Added with green leaf guitar picks, backside features small purple flower gem and single butterfly. Fish hook style backs.